New for Musikmesse 2017, sE Electronics is proud to announce the X1 S, an updated and refined version of their best-selling X1 condenser microphone. With expanded features, completely overhauled circuit design, and superior performance - including the highest dynamic range and SPL handling capabilities in its class - the X1 S is the first major update to the X1 since its introduction in 2010. Utilizing a hand-crafted gold-sputtered large-diaphragm condenser capsule manufactured by sE in their own capsule room, plus the same robust all-metal chassis design as its predecessor, the X1 S now includes two low-cut filters (switchable between 80Hz and 160Hz) and two attenuation pads (-10dB or -20dB), as opposed to the X1’s single filter and pad options. The body’s finish has also been updated with the same new high-quality paint as sE’s latest X1 A, and the XLR connector is now gold-plated for loss-free, reliable, and long-lasting use. For this launch, sE’s best-selling Vocal Pack and Studio Bundle have also been updated. The X1 S Vocal Pack includes sE’s Isolation Pack shockmount and pop shield plus a 3-meter XLR cable, and the X1 Studio Bundle includes the same plus sE’s successful RF-X Reflexion Filter® to provide an instant professional recording solution for any singer, musician, songwriter, or engineer. The X1 S will arrive in stores worldwide in May 2017, with a suggested retail price of $249 USD / €249 EUR. 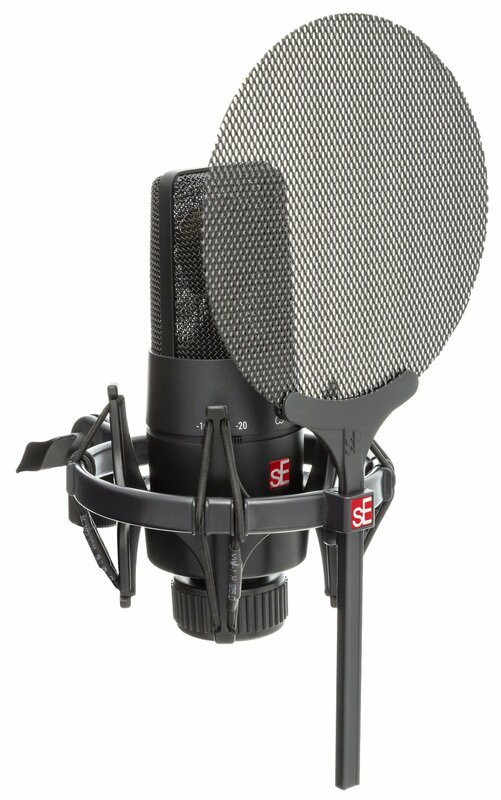 It ships with a newly redesigned mic clip and mic stand thread adapter, and is fully compatible with sE’s Isolation Pack shockmount / pop filter system. The X1 S Vocal Pack and X1 S Studio Bundle will have a suggested retail price of $299 USD / €299 EUR and $399 USD / €399 EUR respectively, and will also be available worldwide May 2017.